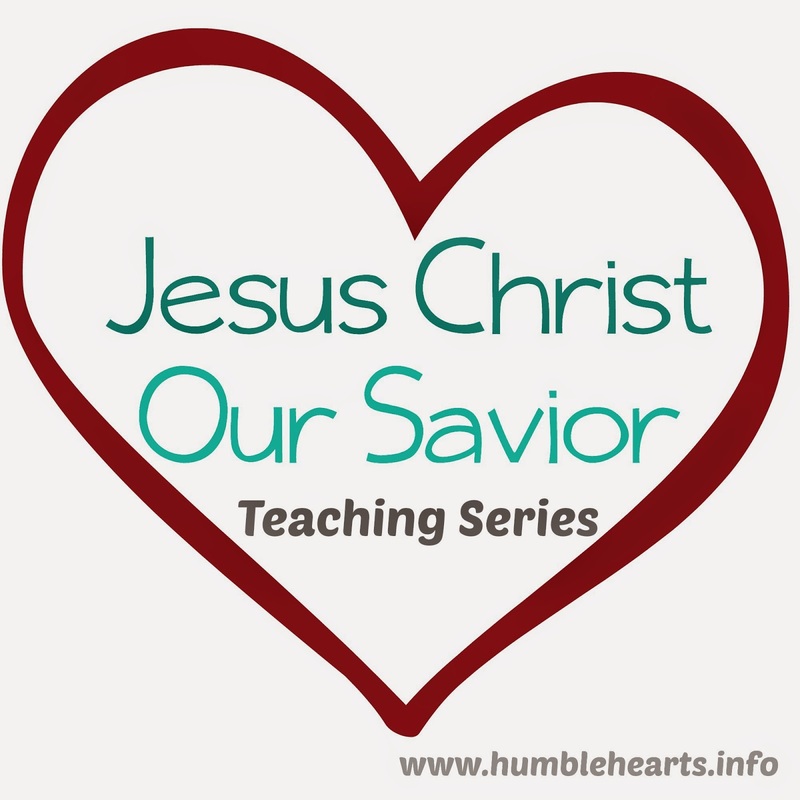 This is a teaching series provides teaching ideas for the life, death, resurrection and ascension of Jesus Christ. As Christian parents we want our children to know Jesus as Lord and confess that God raised Him from the dead. Even at a young age, our children can start to learn about Jesus Christ our savior so they can believe and confess. Age Group: These ideas are geared toward preschool and early elementary aged children (3 to 8 years old). God showed His love for us by sending His son to be the savior. That people had been looking for a savior. Jesus Christ's death and resurrection. We respond to God's Word by believing. God's completed plan to restore Holy Spirit to man. 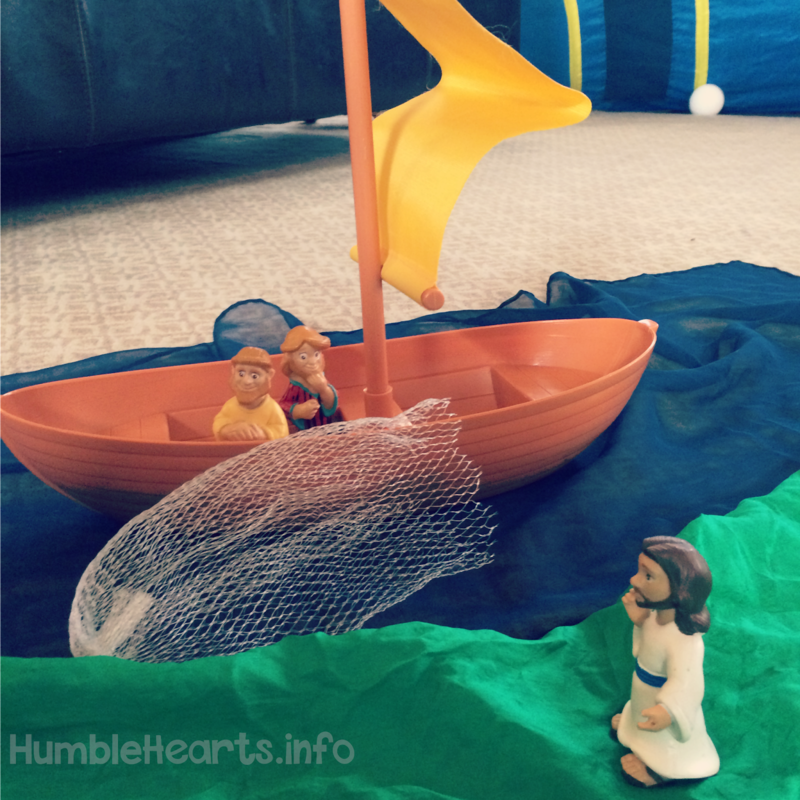 Each week has a theme Bible verse. Each day of teaching ideas will refer back to the theme verse. Have your child echo the theme verse back to you (either echo word by word, or phrase by phrase). Include reviewing the verse reference. Some weeks will have corresponding motions. Look for ways to apply the verse during everyday life. To help yourself remember, post it in your house (on a chalk board, a dry erase board, or print out the verse and hang it on the refrigerator). 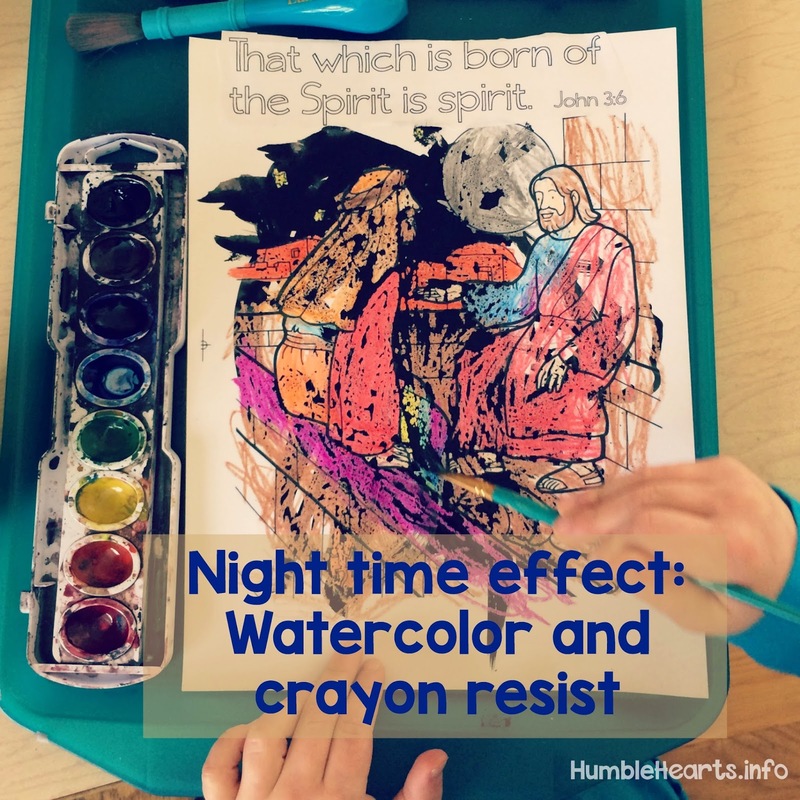 You may want to review the theme verse with your children when putting them to bed at night. Each week will have a song idea for you to sing with your child. 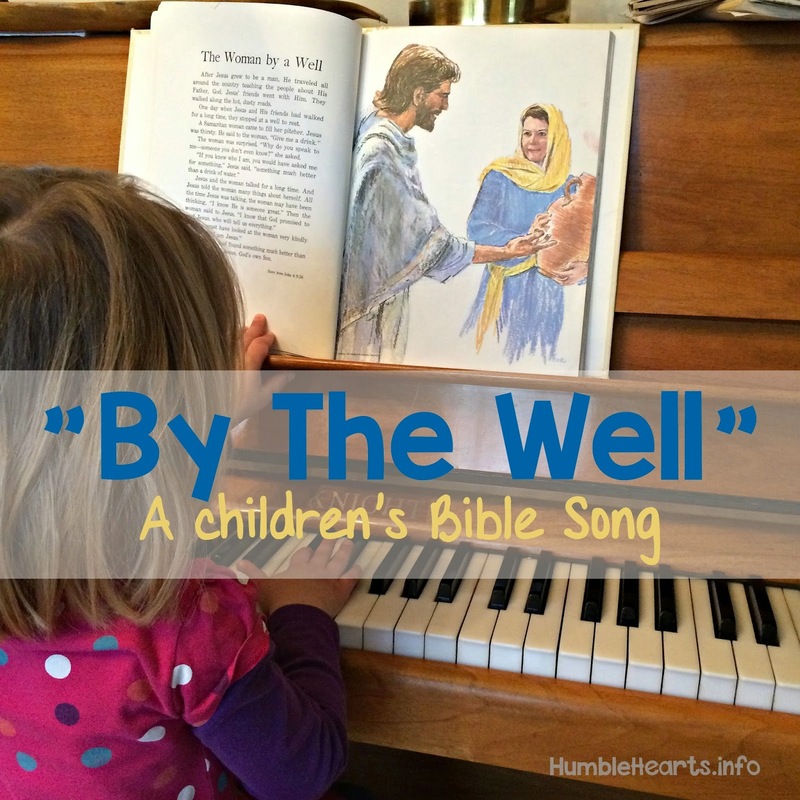 This can be sung before you teach your child. Also, you can sing or listen to it during daily life. Sometimes I write the song title for the week on a dry erase board on the refrigerator to help remind me to incorporate the song during daily life. Also, I add the song to a playlist of children's Bible songs on my phone. "And these words, which I command thee this day, shall be in thine heart:" Deuteronomy 6:6 To teach our children, we first need to have God's Word in our hearts so that we can then speak it. As parents we have a great opportunity to grow in our own lives as we read and study the life of Jesus Christ. 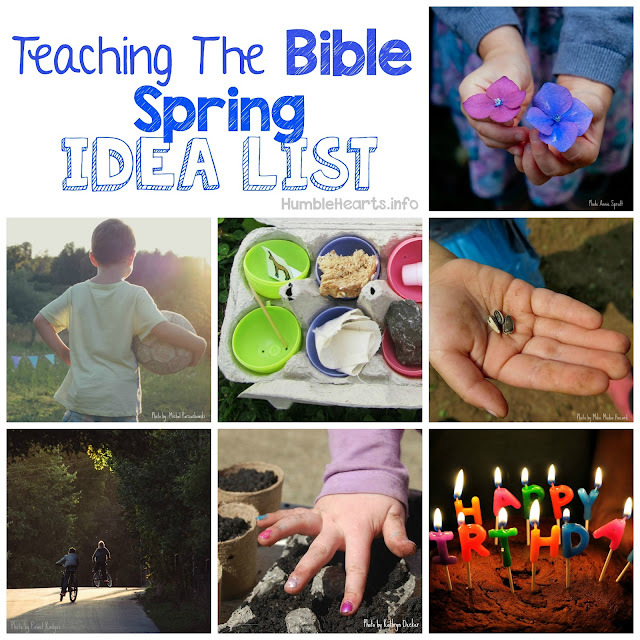 Throughout the series I will list scriptures for you to read in preparing to teach your child. By reading about the same in record in the different gospels, we learn more of what happened through scripture build up. Throughout the study I will be referring to "The Acceptable Year of the Lord" by Walter J. Cummins. This book is a study of the life and earthly ministry of Jesus Christ. It provides great help in understanding the chronological order of events from putting the four Gospels together. A wonderful way to prepare would be to read the first three sections from this book: "A Basis For Scripture Study", "Preface" and "Chapter 1: The World's Need For A Savior". Prayer! As we prepare to teach our children, praying to God for wisdom and help is an important step. If you have a children's Bible, you may want to read from it while teaching your child. Review the Bible ahead of time to see if pictures and words in the children's Bible are Biblically accurate. Our family uses NIrV Read With Me Bible. Visuals: You don't have to use visuals, but they can help young children attend longer and engage in learning God's Word. I find it helpful to collect my visuals for the week in a basket, so that they are ready to go when I need them. Pictures from a children's Bible. 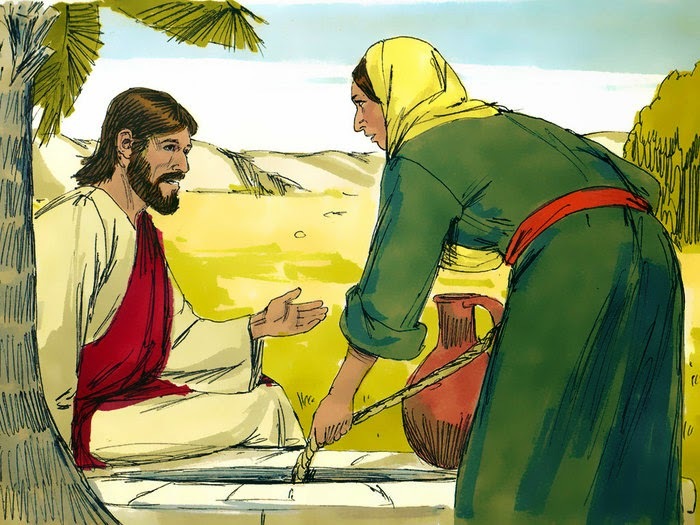 Looking at illustrations from Free Bible Images. To find pictures look under the book of the Bible the record you are reading is in. in your house, ones made from wooden people (for ideas look here and here), or made from paper (here ), or from craft sticks (refer to here and here scroll down for ideas) or story stones (refer to here and here) or buy a plastic set of Jesus and the Apostles (I have this one). Pieces of green and blue fabric for land and water. This could be from pieces of fabric, scarves, napkins or pieces of felt. You can also cut a brown piece of felt to be a road. When teaching have your child sit in a place the minimizes distractions (such as not looking at toys they want to play with, etc). For a child that wants to wonder around the room provide a cushion or chair for them to sit on. It may be helpful to do the teaching at the same time of the day. In our family we do it after breakfast, so my girls come to expect it. After the teaching you may want to take the chance to pray together. 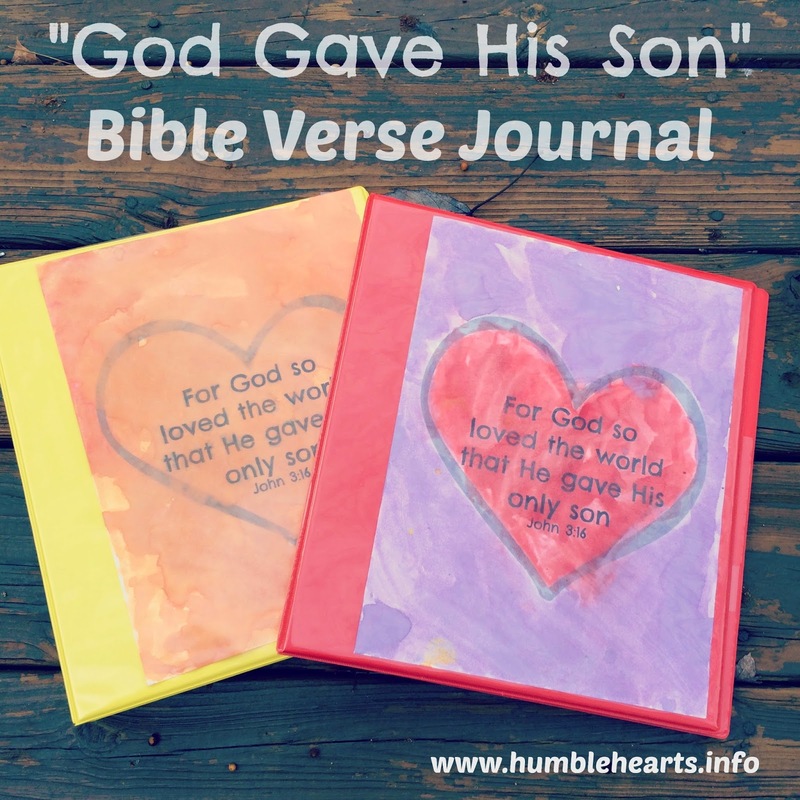 related craft idea to put in the “God Gave His Son” Bible Verse Journal. To prepare, get a three ring binder with a clear front. Print out the cover page. Color or paint it. Put it in the front of the binder. (If you already started one with Jesus Christ's Birth and Childhood, you can just add to that binder). *WTJ -Working Translation Copyright © 2006, 2013 by Walter J. Cummins. Do you have any questions? I’ll try my best help! Did you come up with a way that really helped in teaching your child the Bible? I’d love to hear about it! Do you want to share pictures of your Bible Verse Journal? I’d love to see it!